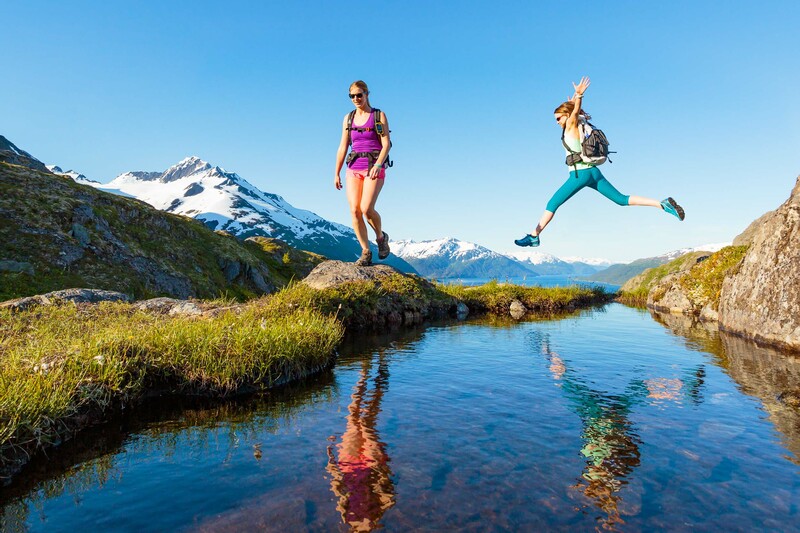 Alaska Adventure Travel Tourism photographer's image of two women hiking Portage Pass with view of Passage Canal and Prince William Sound. Portage Valley, Alaska. Photo © Michael DeYoung - based in Taos, New Mexico - is an adventure travel and active lifestyle photographer with extensive experience photographing Alaska.